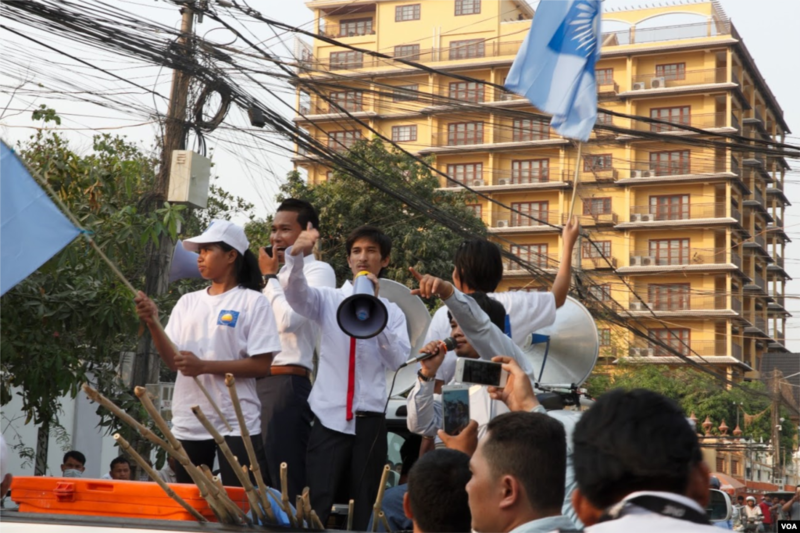 Some seventy of youth group, who claimed to be independent university students, took series of protests in Phnom Penh's streets against opposition leader, Kem Sokha over phone recordings scandal on Tuesday. Early March, purposed audio records of Kem Sokha’s and a young woman were posted on Facebook. A self-claim university students group, which led by Srey Chamroeun, said the leaked of conversations effected Cambodian culture and morality. 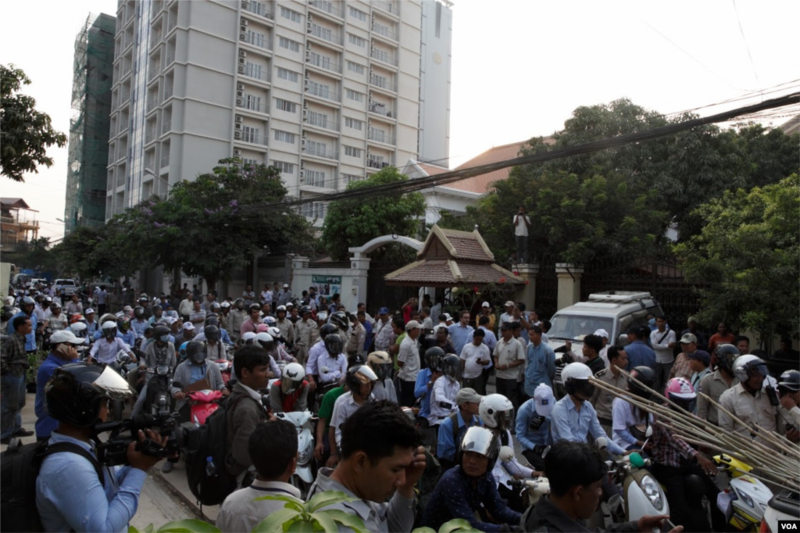 They staged different protested across Phnom Penh since early March. 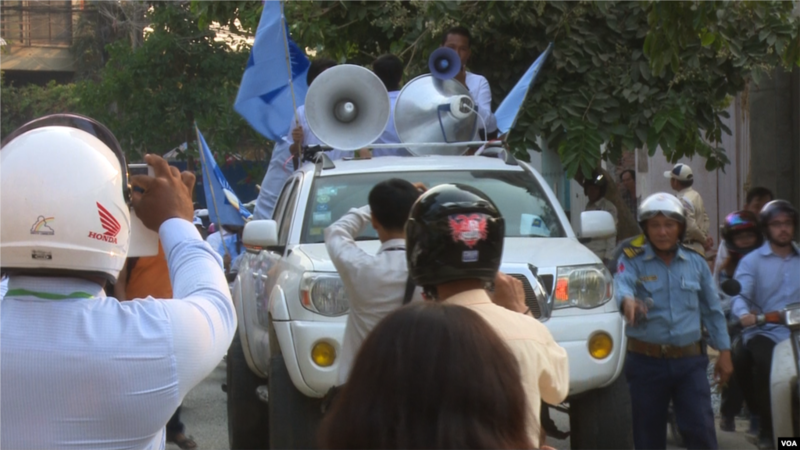 Dressing up with CNRP t-shirts and flags, the youth group again paraded and delivered petitions to the National Assembly, CNRP's headquarter, and Sokha's house on March 29. 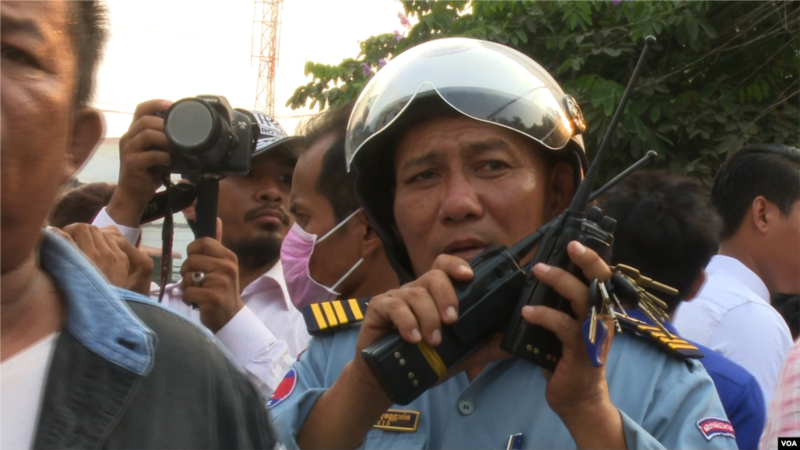 Unlike other protest and march, the group were strongly facilitated secured by Phnom Penh authorities. 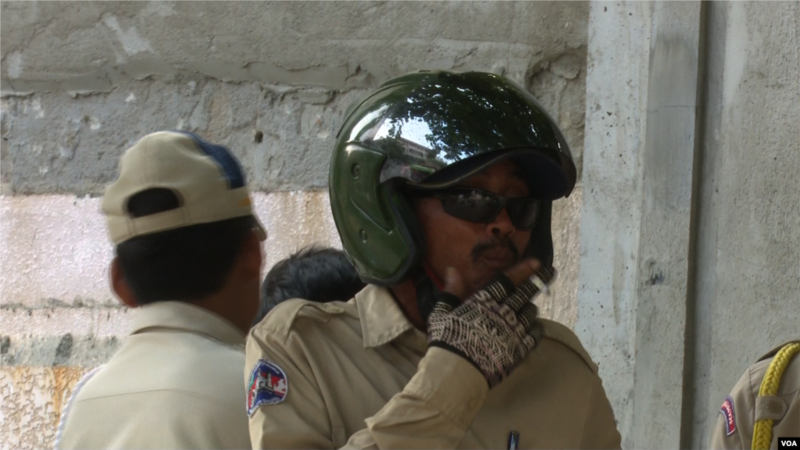 5 Á security police safeguards a self-claim university students group led by Srey Chamroeun. 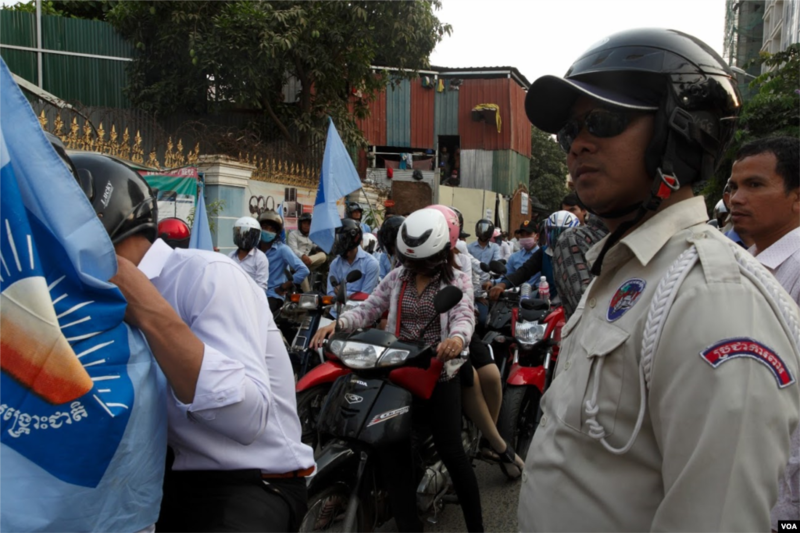 6 Security polices safeguard a self-claim university students group led by Srey Chamroeun. 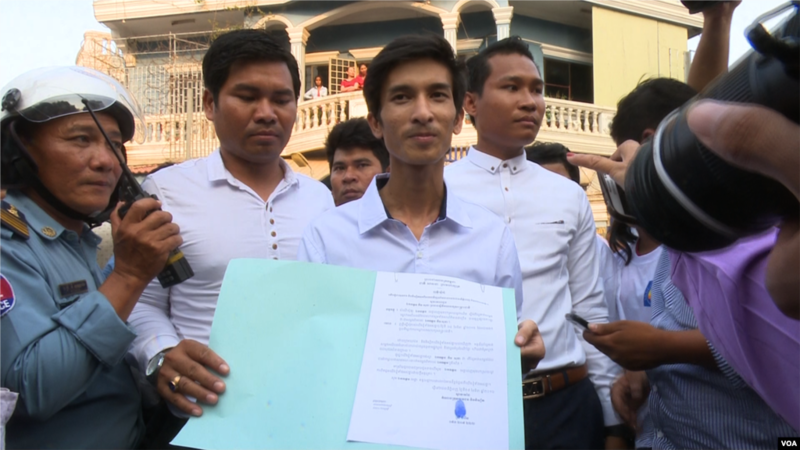 8 Srey Chamroeun, who led students group dressing in CNRP's uniform, shows his petition to journalists. (Leng Len/VOA Khmer).